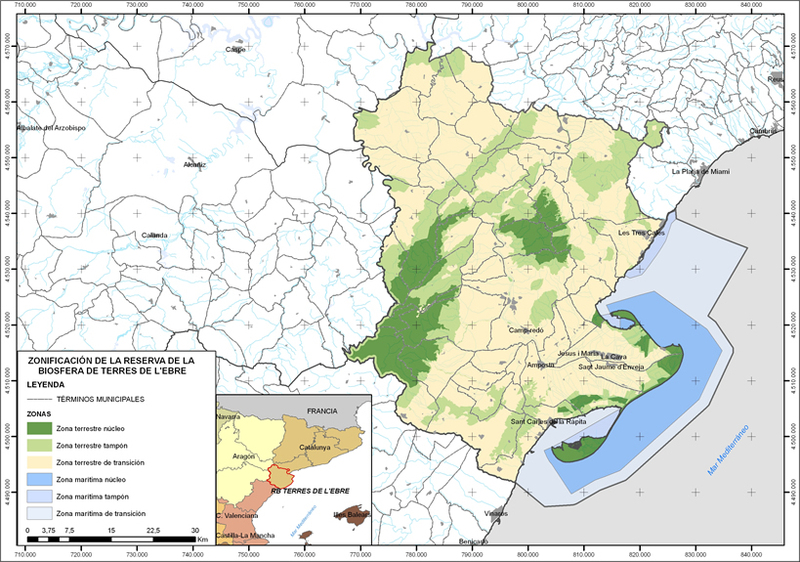 Located in the northeast of the Iberian Peninsula, significant natural areas for biodiversity coexist with authentic agricultural ecosystems like the rice fields of the Delta and marine ecosystems that include lagoons, coastal marshlands, bays and gallery forests in the flood plains. A majority of the territory is made up of sediments tied to fluvial dynamics, where the delta plains known as the Delta del Ebro, covering an astounding 320 km2, are a clear highlight. 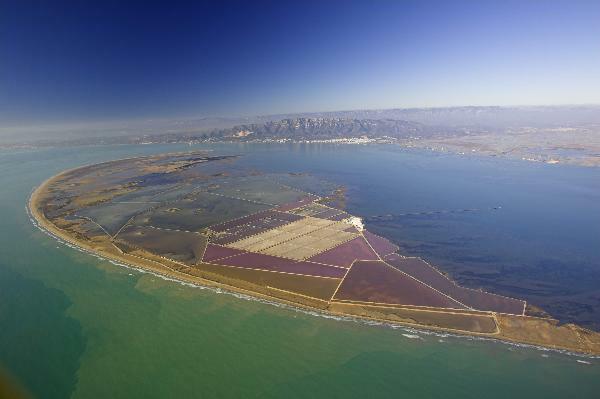 This is one of the most significant wetlands in the western Mediterranean and is extremely sensitive to climate change. The Ebro River is the backbone of the reserve and marine ecosystems abound in this area. The volume of the river flow and the water quality are vital to the conservation of the Delta. In the mountainous areas of Els Ports we find karstic manifestations as well as other erosive features. Conifer and broadleaf forests with Alpine and Atlantic elements are found on the north faces of the mountain range. There is a high level of habitat diversity, from dune systems in the Delta to the beech forests in the Els Ports range. The mountains that stand to the north of the Ebro, the Cardó and the Boix, share many endemic species with the Montsià and Godall ranges to the south.